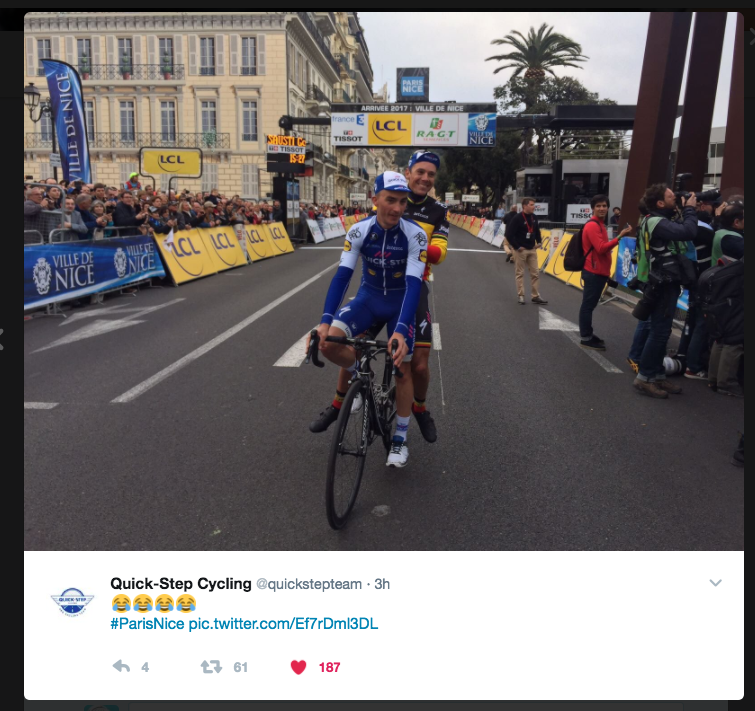 Arnaud Demare wore the maillot jaune for the first three stages before fresh-faced Julian Alaphilippe took it over. 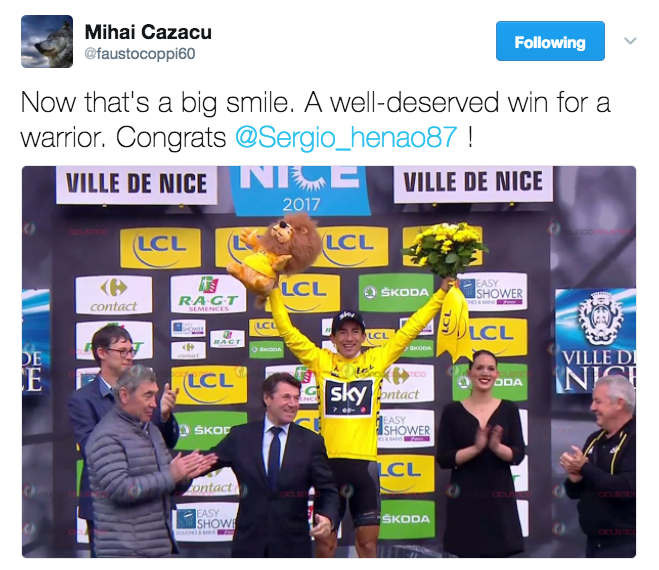 He was thrilled (as you can imagine) with the jersey and he showed his team a whole lotta love for helping him keep it for as long as he did. 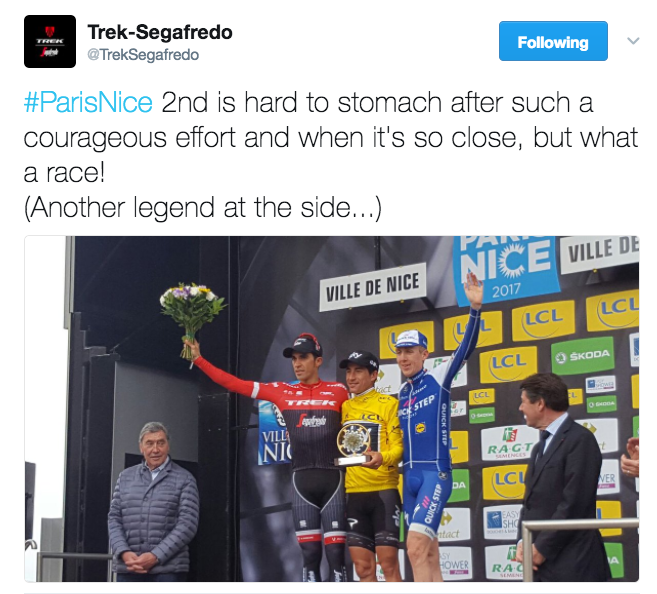 And his teammates showed him love right back – including young Bob Jungels, who was battling it out at Tirreno-Adriatico. 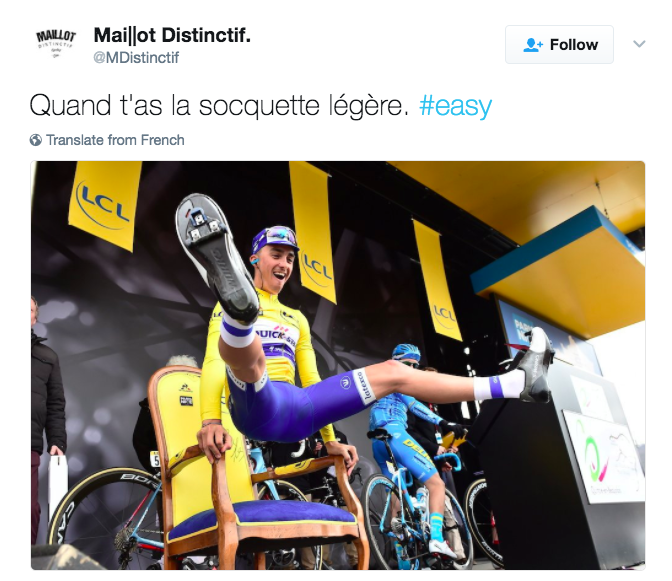 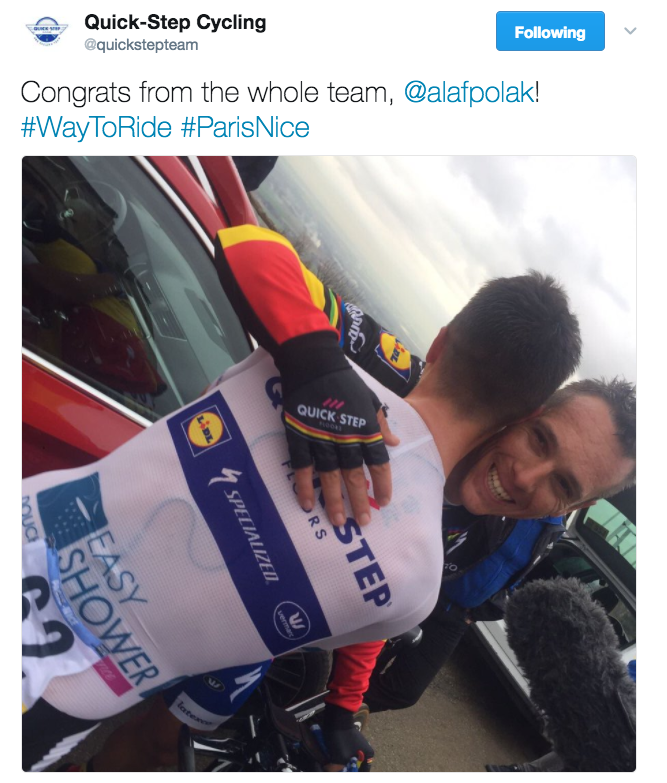 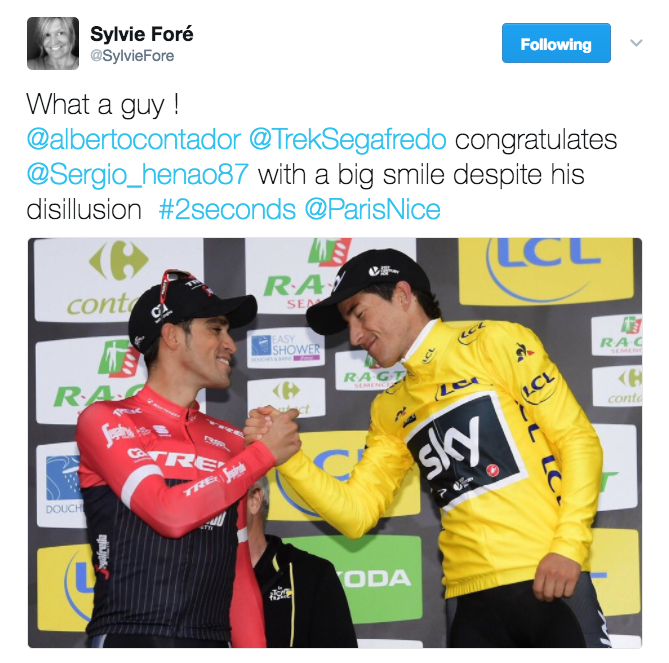 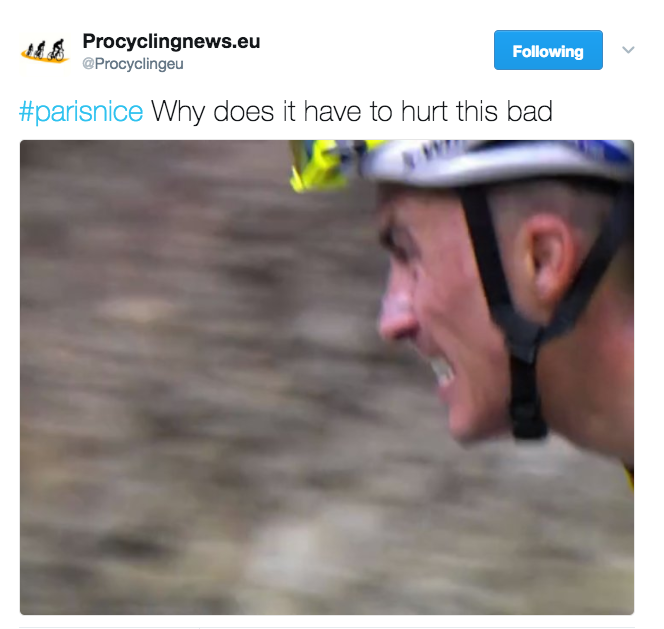 I think the bromance between Alaphilippe and PhilGil is really sweet. 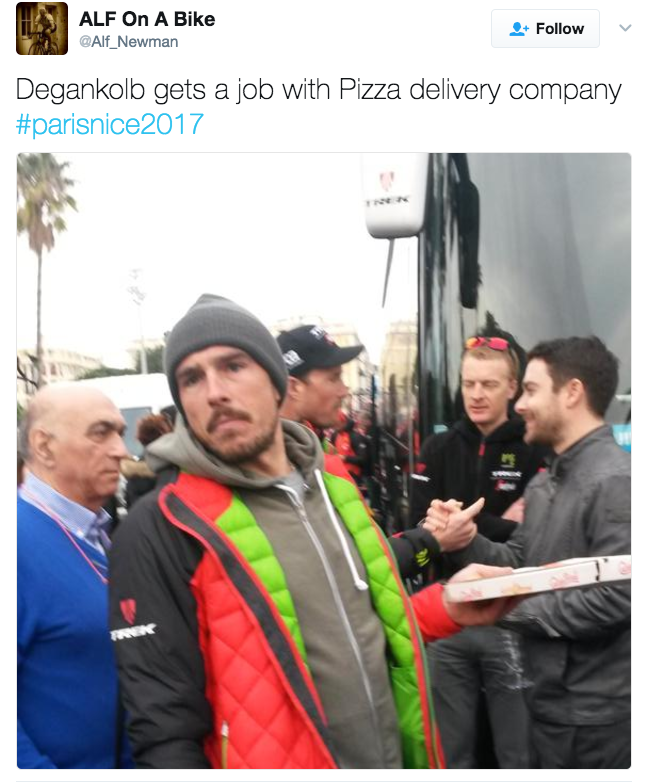 #ParisNice @sonnycolbrelli "I'm happy above all because I'm in good shape ahead of @Milano_Sanremo"
Birdsong especially for our beloved @pariswheels. 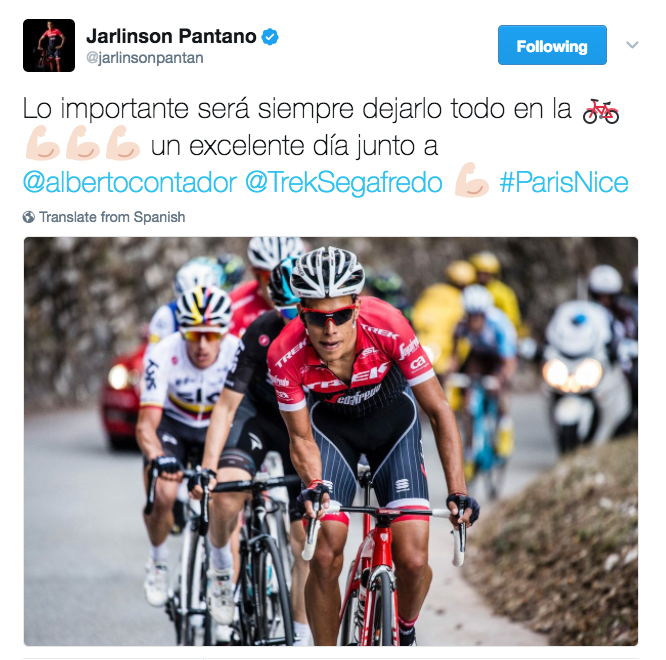 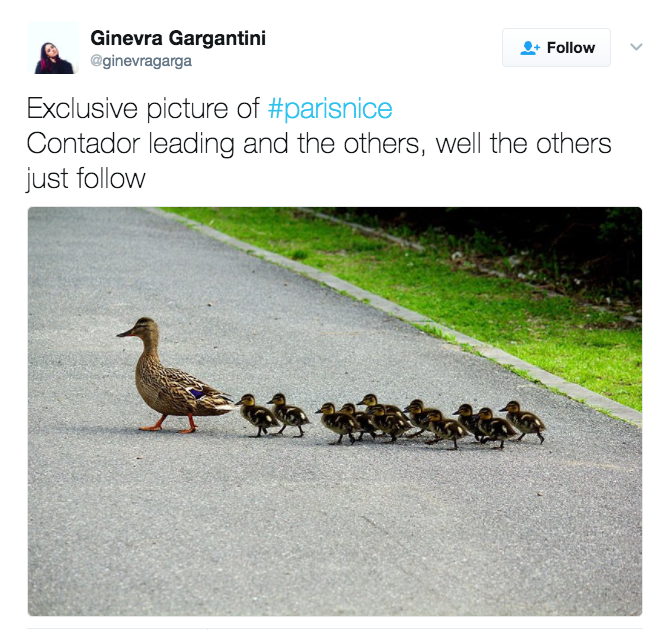 It was an epic final, with Contador’s trusty lieutenant, Jarlinson Pantano, kicking it off 50km from the finish to give Baby Blackbird a launch pad for his campaign to take the yellow jersey in the final stage. 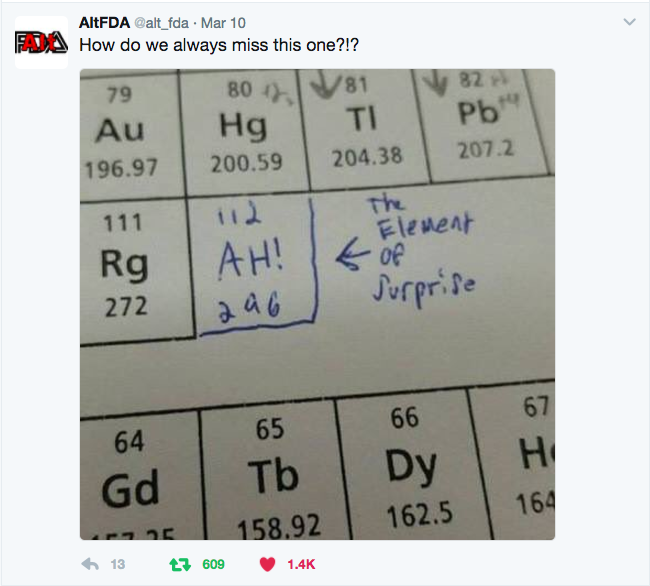 It was not to be, however. 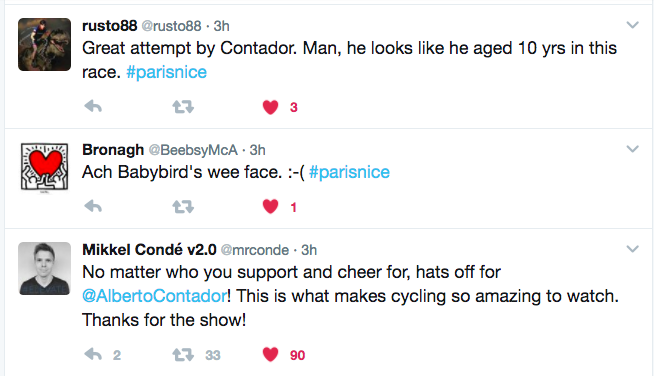 A mere two seconds was the difference between joy and sadness. 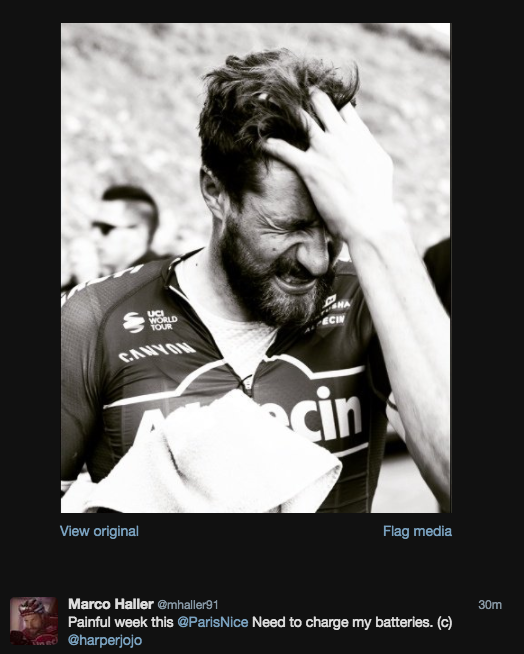 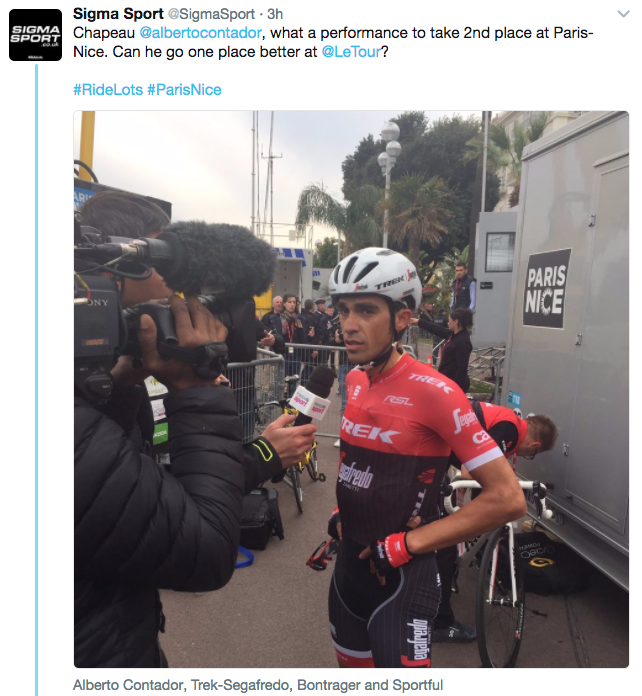 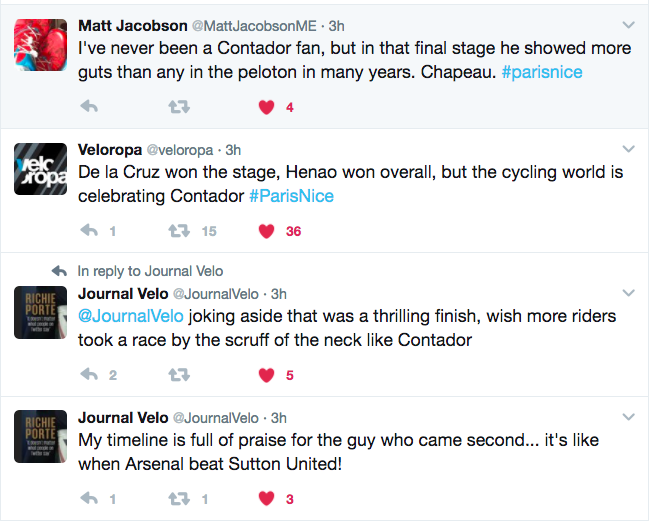 As is often the case, it wasn’t the rider who won that got the most attention. 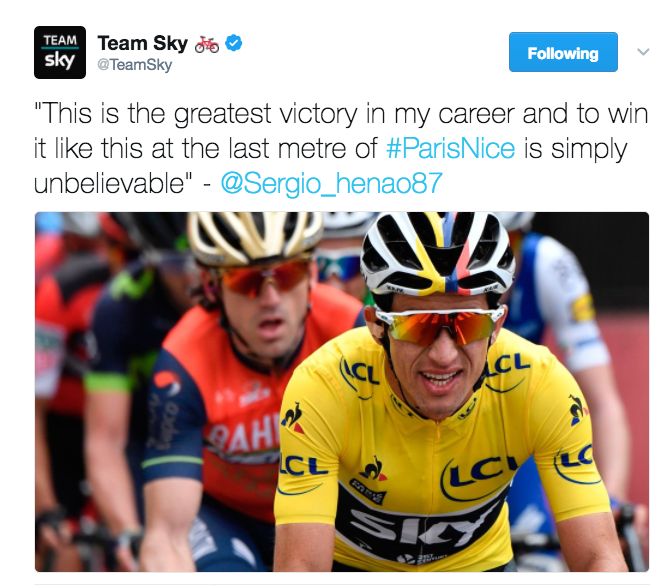 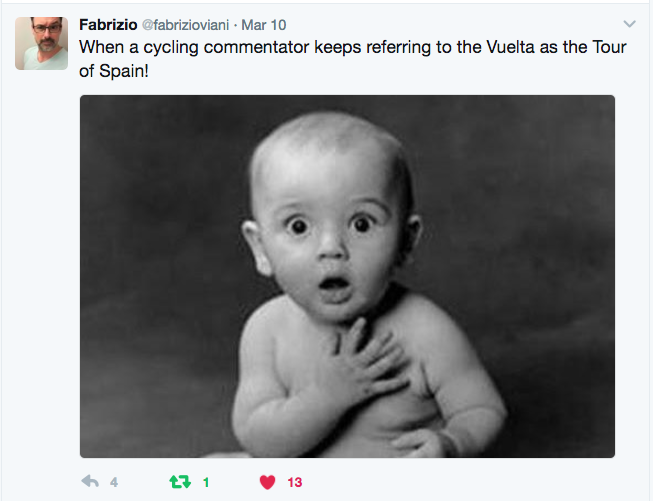 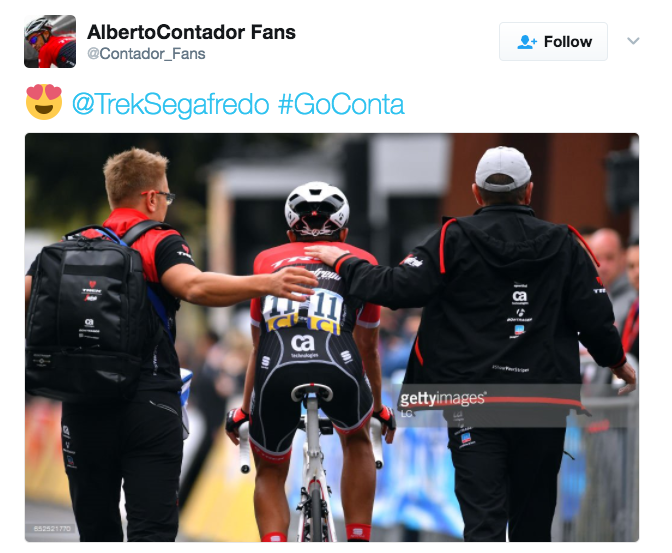 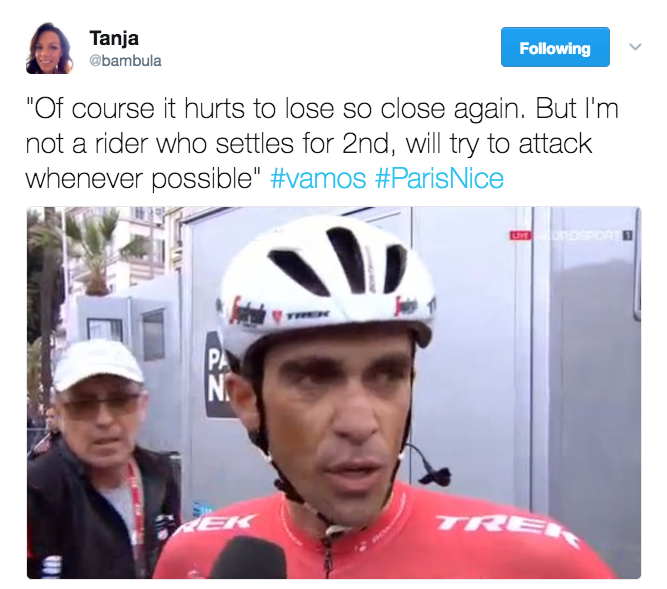 But let’s not forget one very important fact: Contador’s attack wouldn’t have been nearly as exciting if Henao didn’t give everything he had to save his yellow jersey. 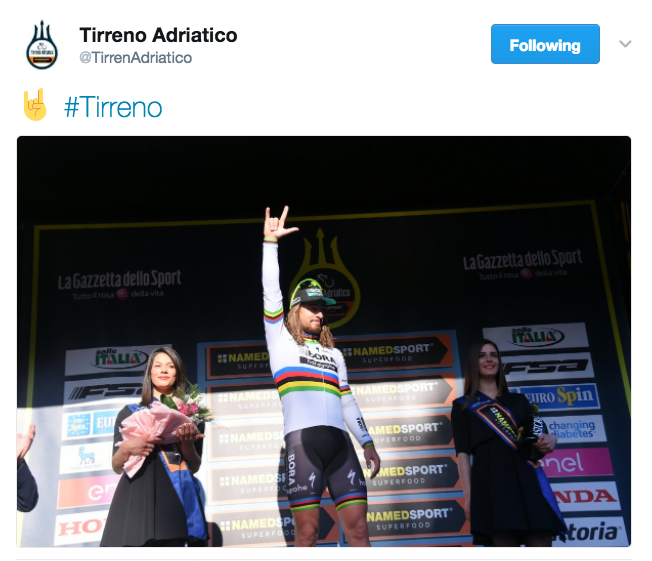 Even though Nairo Quintana is in the leader’s jersey and will probably keep it, even though Geraint Thomas and Tom Dumoulin are throwing everything including the kitchen sink at the race, there’s really only one story at Tirreno-Adriatico at the moment. 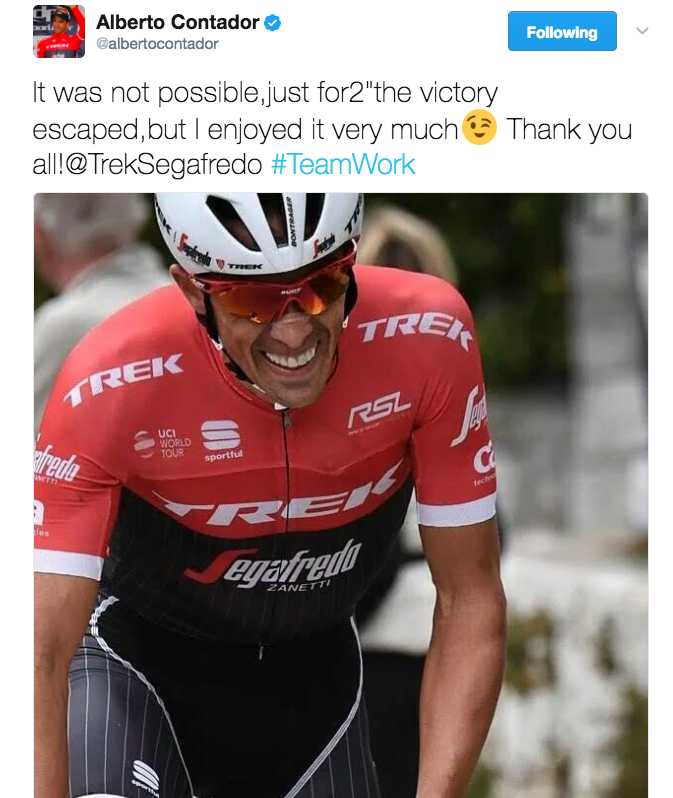 And that is the wonder of the World Champion. 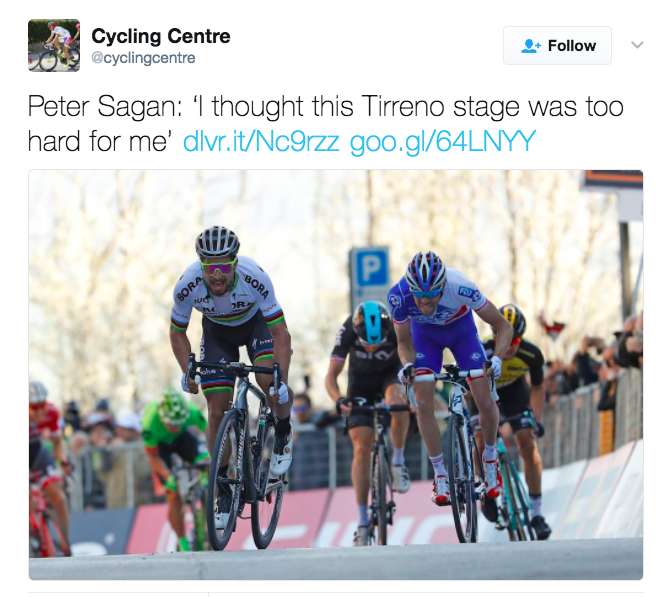 Let’s just take this time to consider the many talents of Peter Sagan, Lion of the Peloton. 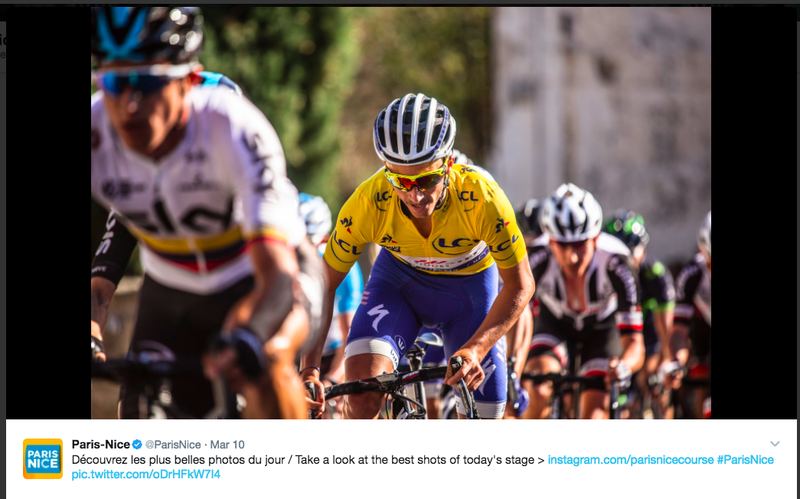 Here he is, beasting up a hell of a climb to take the queen’s stage on cycling’s Super Sunday. 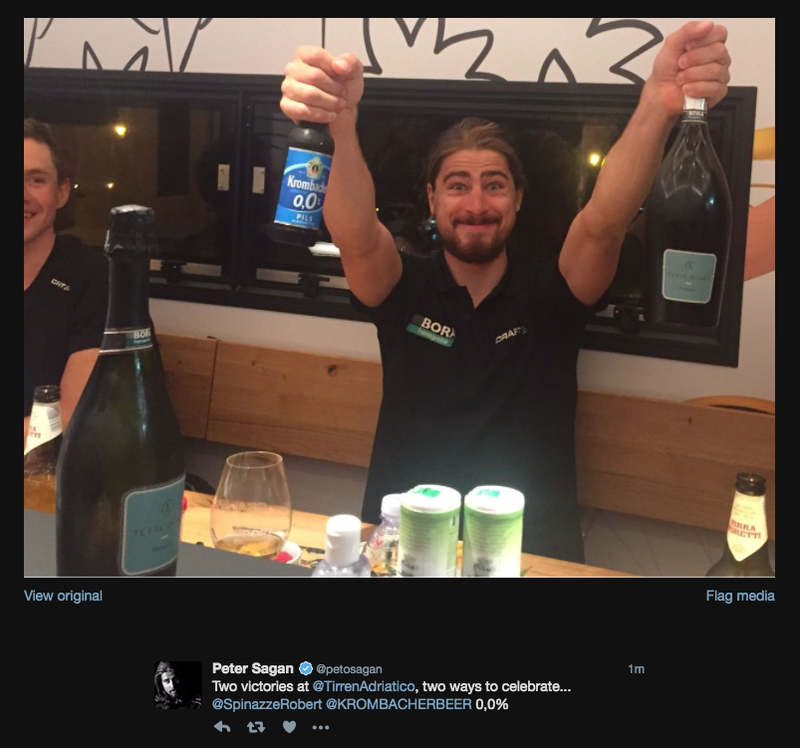 Here he is, celebrating his win with what looks like champagne and 0.0% beer. 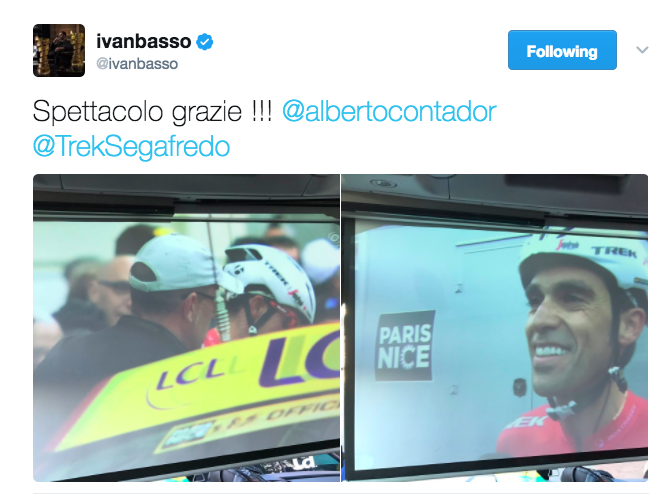 Here he is, giving us a little cooking lesson. 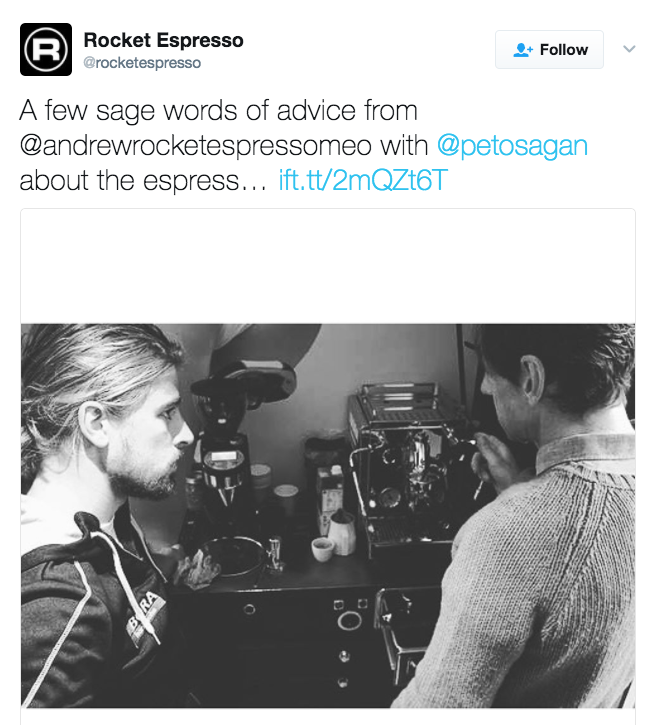 Here he is, learning the nuances of making a good espresso. 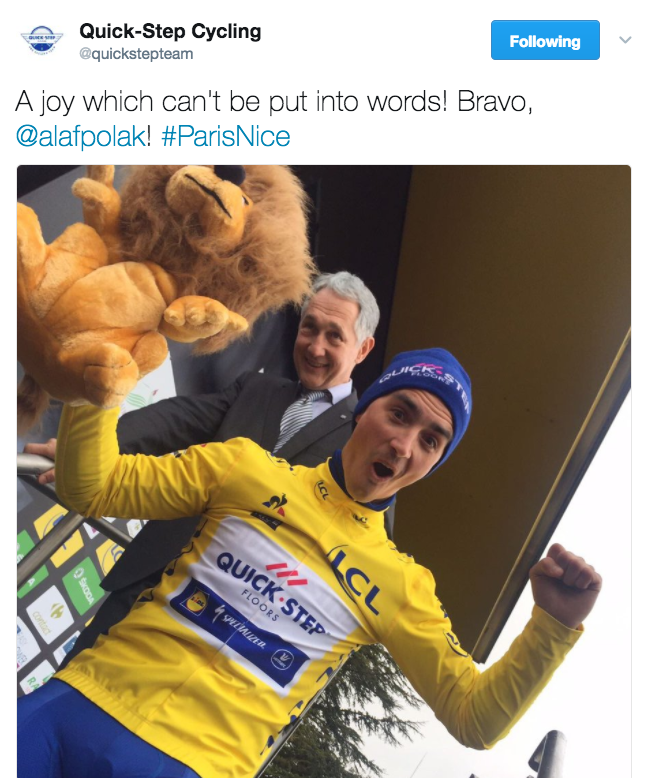 Here he is, scaring the bejesus out of the stage trophy presenter. 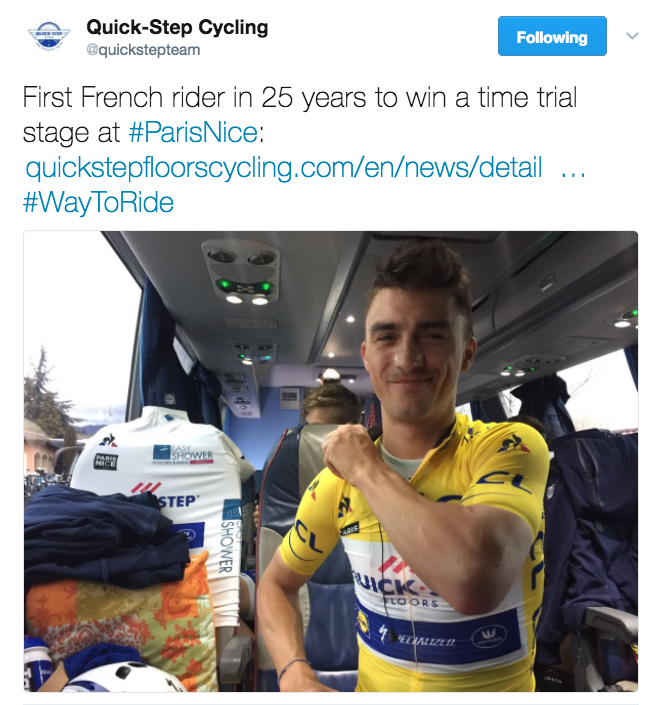 Here he is, inspiring young riders everywhere to get their hands on Haribo after a tough old bike ride.